Long before the season or any game even starts, league representatives, team staff, volunteers and the highly skilled officiating crew build off the leagues mission to provide an environment that is fair to all teams, exciting and entertaining for the fans, and foremost provide a safe, and player focused experience. The CPJHL pays meticulous attention to every detail that makes each players and teams season successful. The league does this by leading through consensus at all levels of rule and decision making. Each and every team will be equally represented within the League Team Committee and is focused on highest decision making processes of the league. The commissioner has a great deal of influence on day-to-day running of the league and is responsible for upholding the rules as set out in the League Constitution and By-Laws. The Executive Branch will focus on the business activities of the league. As with any sport, game day officials are the face of the league’s rule enforcement. 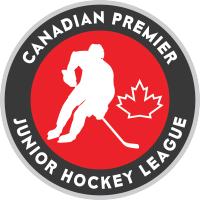 The CPJHL will require a level of professionalism from the league officials that will set a new standard for junior hockey. The game day officials will adhere to rules designed to make the game fairer, safer and more entertaining. Each CPJHL game will employ a 3 man officiating system consisting of a referee and 2 linesmen. The Executive Branch, Commissioner, League Team Committee and Game Day Officials are all focused on the league’s mission to provide an environment that is fair to all teams, exciting and entertaining for the fans, and foremost provide a safe, and player focused experience. The underlying goal of all involved is to better position the league for tomorrow’s hockey.